Bees are one of the most important pollinators in today’s world; they are responsible for a third of the world’s food supply. Without them, we wouldn’t have many fruits and vegetables. By collecting pollen and nectar from flowers, bees enable plants to spread and grow. Unfortunately, many farmers use pesticides to protect plants from insects. The biggest problem create chemicals called neonicotinoids which are so widely used that they are found in most of the world’s honey. How these pesticides affect bees? A professor of Biology at Britain’s University of Sussex, David Goulson, says that the chemicals harm the ability of bees to navigate. The chemicals attack the brain of the bee and interfere with their ability to navigate and learn. Bees are significantly affected by this because their navigation is crucial for finding food sources and a way back to the hive. If a bee gets lost and doesn’t manage to find a way back to the hive, it will most likely die. Even at really low concentrations these pesticides affect the immune system of bees, which makes them prone to diseases. Here a professor David Goulson also offers a possible explanation. He says that the source might be new genetically engineered seeds which are pre-coated in pesticides. The chemical dissolves in water, so when a farmer sows it in the ground the chemicals dissolve into the soil and water in the soil. As the plant grows the dissolved chemicals are absorbed by the plant, which spreads the chemicals to all parts of the plant, which includes pollen and nectar. Contaminated pollen is collected by bees which results in honey also being contaminated with these chemicals. The pesticides are even found in honey from the French island Tahiti, which is not known for industrial farming. A study performed in Switzerland analyzed honey sent by people from all around the world between 2012 and 2016. Of all the samples received, 198 samples of known local origin were analyzed for five main types of neonicotinoid. The results were shocking, 75% of samples contained neonicotinoids and some even several types of neonicotinoids. What is very troubling is that 48% of samples exceeded the minimum concentration for which a significant negative impact on bees has been found. These pesticides are extremely toxic (4,000 to 10,000 times more toxic than DDT), so even a small concentration can have a negative impact. Also, only two samples had concentrations below “maximum residue level” (MRL) allowed for human consumption under EU laws. The findings are alarming, and the use of these chemicals should be restricted, only used when there is no alternative. 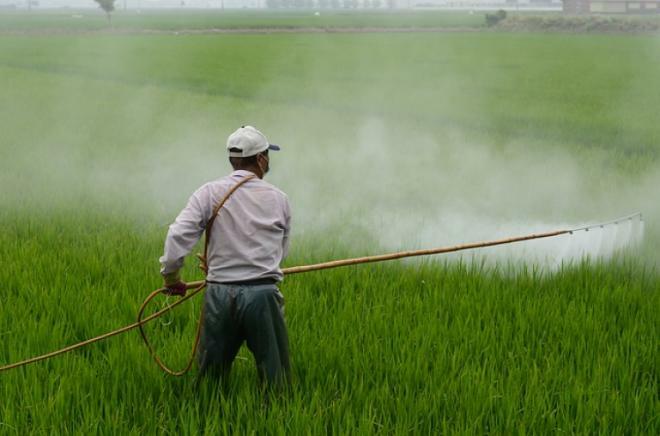 An outright ban is not the solution, but further research should focus on developing strategies for limiting the use of these pesticides. The consequences of using strong pesticides are affecting many aspects of nature and should not be ignored. Read More: Flowers’ Aroma can calm the most aggressive of bees!